Earlier this season I spent time admiring the assorted patches of Opuntia, winter hardy prickly pear cactus, that were blooming in our Mediterranean terrace garden. Recently I had to stop again, this time to take in the beauty of its developing fruit. The sight of this fruit immediately transported me back home to my birthplace, Malta, where a much larger species of Opuntia is grown for food and the large (10 feet and taller) spiny plants are even used as living fences. I have very fond memories of my grandmother and me getting up early in the morning to harvest the delicious ripening fruit (thank you, Nunna). Back at the Toronto Botanical Garden, the combination of the fruit on the end cactus pads provides a wonderful colour echo to Imperata cylindrica, Japanese Blood Grass, planted nearby. 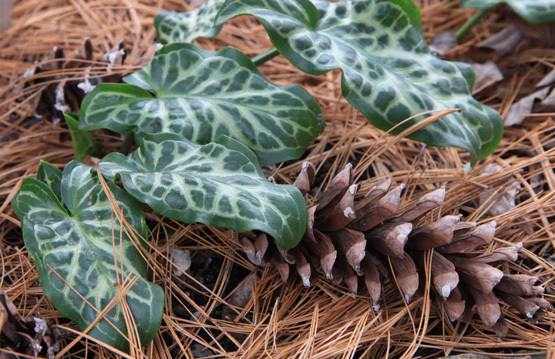 It’s an unlikely, yet surprisingly beautiful plant combination. These perennials require very different growing conditions. Opuntia ‘Lemon Spreader’ grows in one of the drier upper levels of the terrace, while the Imperata thrives at the base, which stays more moist. A word of caution: site your Opuntia very carefully. They are wonderful plants to admire from a distance, but their thorns can be a real challenge to get out of your clothing and skin. 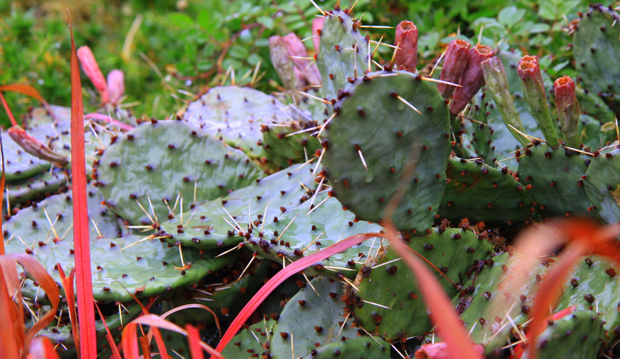 Opuntia thrives in lean soils with excellent drainage. Plant in full sun. 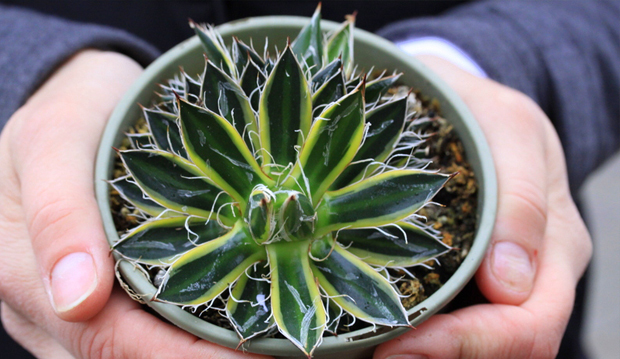 There are other plants I’d like to highlight this week, but I’m constrained by space. Instead, why not take a walk through the garden and see for yourself? 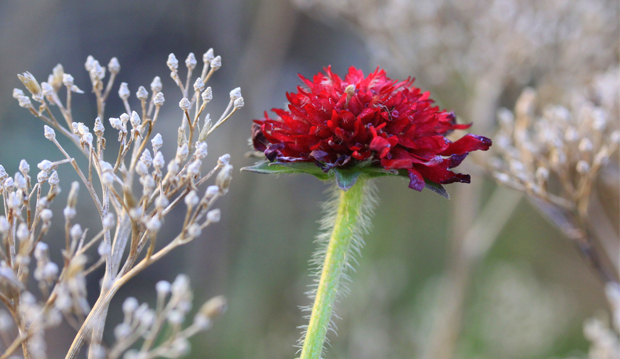 For example, the Knautia macedonica is STILL sending up its deep red blooms in the Entry Garden Walk. Although there are fewer flowers now, these plants have been blooming (and feeding the bees) since June! ).